After summer inspections of a good portion of the 351 Greek beach properties awarded the prestigious 2001 Blue Flag designation, 23 beaches were stripped of their award. The inspectors came from the head organization, the Foundation for Environmental Education in Europe, and the local operator, the Hellenic Society for the Protection of Nature. Inspectors said the cleanliness of bathing water was not the only major factor but that another 26 criteria must be met and upheld. These center on beach cleanliness, good service and information, safety and sensitivity to the surrounding environment. 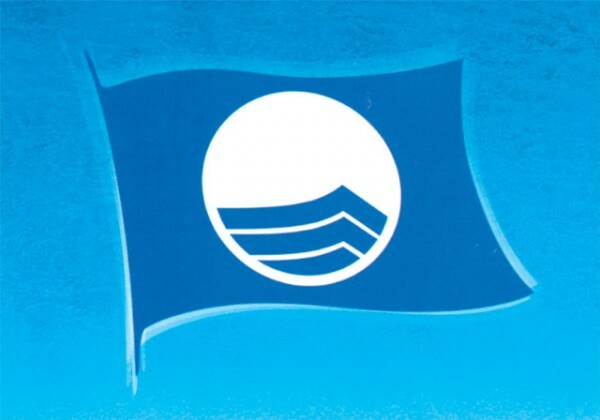 Because some or much of the above criteria was not met at 23 beaches of those inspected, as well as three marinas, their right to fly the Blue Flag was revoked by the international and local inspectors. Inspectors stressed that their main task is not to strip beach properties of flags but rather to help each hold up the original standards met when the flag was awarded. Basically, they attempt to visit beach properties two to three times a year to check and suggest ways to improve, and find most properties and thankful for the assistance. However, they say that in some instances complete indifference and overall sloppiness is found and there is no way to correct the situation, which means the flag must be withdrawn. In other cases, the flag is taken away because the honest efforts of some municipality leaders are just not enough to keep up the required standards. Last year, 4.4% or 14 beach properties of the total 319 awarded lost the right to fly the Blue Flag. That compares with this year’s 6.75%. Of the 23 flags revoked this year, six were from properties on Skiathos, four were on Naxos and three were on Zakynthos. The campaign is an award scheme that targets local authorities that manage coastal areas for recreation and tourism. The program uses a total of 27 criteria, which are under continued development and evaluation. The Greek society says that most problems occur not because of any deficiency in the candidates’ beach, but rather in their problem to have water samples tested every 15 days as required. The bathing water itself is most likely clean as the works ministry says tests this year have shown that 98.8% of all Greek waters are safe for swimming. The European foundation spot-checks at least 5% of all blue flag winners to ensure each adheres to every criteria. The Hellenic Society for the Protection of Nature was established more than 50 years ago. It’s a non-profit organization that works to promote environmental education in Europe and is the national operator for the European clean beach awards. It says that this year was the first time that a large number of municipalities have gotten involved in the program. The society says there are some 380 volunteers in the program.